Miles and Peter swinging through the woods and meeting their newest ally, Gwen. 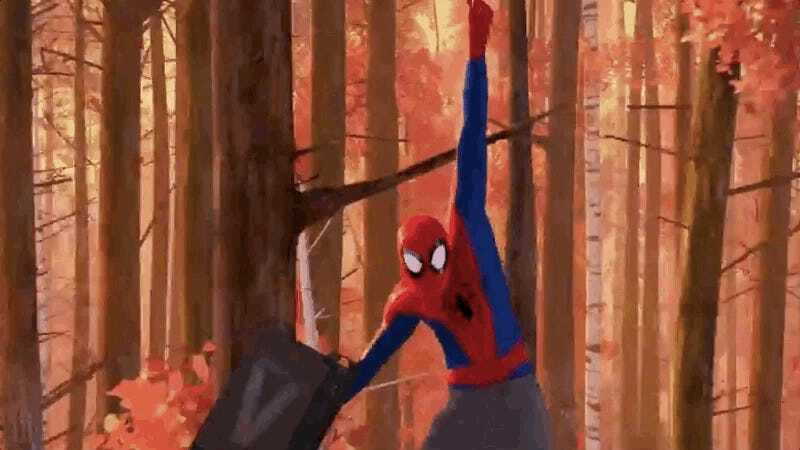 There’s all kinds of new footage in the spot, but the most shocking thing it sets up is that the film’s definitely hinting at the beginning of an honest-to-god cinematic Spider-Verse where Miles (Shameik Moore) will meet a version of Peter Parker (Jake Johnson) and the one and only Gwen Stacy (Hailee Steinfeld.) Together, the trio will do battle with the Prowler (Mahershala Ali) and the Kingpin (Liev Schreiber) as they try to save New York and, well, the entire multiverse, perhaps. Spider-Man: Into the Spider-Verse hits theaters December 18.